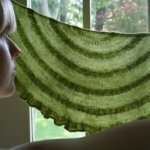 When I started knitting "seriously" about seven years ago, I was pretty adventurous. I ignored the experience level listed on the patterns I found and just jumped right in. 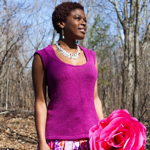 When choosing the pattern for my very first sweater, I didn't really care what it was going to teach me or what skills I should know before starting...I just wanted to make something I wanted to wear. And it turned out ok. 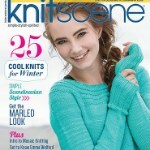 When I went to my local knitting shop (the dearly departed Noe Knit :( ) to pick up the pattern, I was so embarrassed of my newbie-ness that I was terrified to ask the shop ladies any questions -- I just kind of threw an old, on-sale issue of Interweave into my bag, grabbed some yarn, and ran to the cash register. I *did*, however, ask if the i-cord called for in the pattern was something I needed to buy. (Ha!) And the ladies who were working the desk were very nice in pointing out that no, no I did not. Anyway, what I'm trying to say, is that as a newbie sweater-knitter, I probably could have used a book or a pattern that really broke things down for me. It would have cut out much of the deer-caught-in-headlights look I had the entire time I was knitting, and I would have learned a great deal. 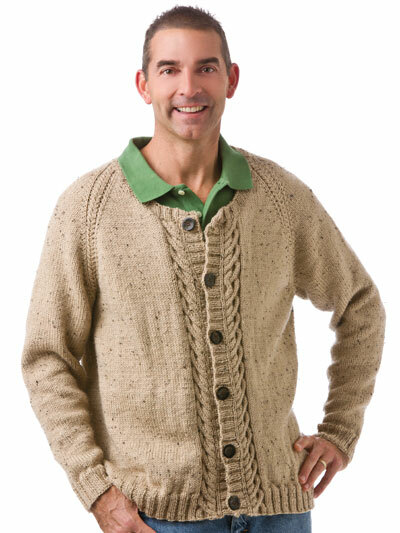 And, had my first sweater been a cardi, I would have greatly benefited from the book we're going to talk about today. 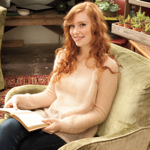 My First Cardigan Workbook by Georgia Druen is a new Annie's book that breaks down cardigan knitting into its simplest form. 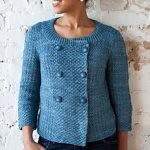 A "self-guided tutorial", it includes 8 patterns for very simple, top-down raglan cardigans and loads of great information for beginners about the importance of making a gauge swatch and blocking, techniques, etc. The clever thing about this book, I think, is that the 8 patterns come in four sets of two, with each set containing both a baby cardigan and its adult-sized counterpart. 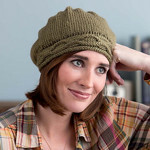 Each set includes a different and slightly more complex technique, such as cabling, fair isle and lace. What's fantastic about this is that you can "practice" on the smaller baby version, gain some confidence, and then move on to the adult version. Because of the simplicity of the designs, the adult versions are really not more complex than the baby versions, just a little bigger. And, I think Baby's First Fair Isle is particularly sweet...I love the color combo they used. As has been my experience with all Annie's books, the layout, technique instructions, and length are just perfect. 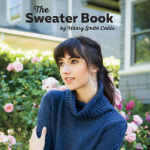 This particular book is spiral bound and also features a format that allows you to write in the stitch counts for your size, making it truly workbook-like. 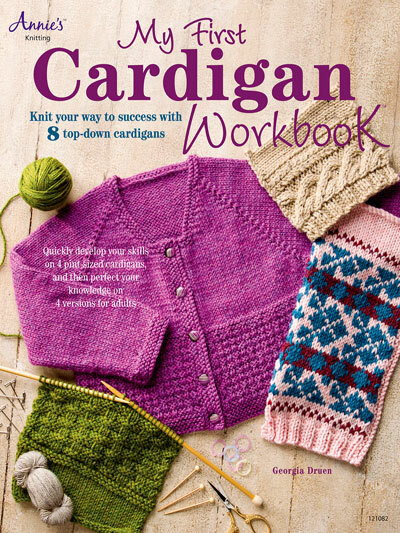 You can find My First Cardigan Workbook on Amazon here and on the Annie's website here. OR, if you'd like to win your very own copy of this book, either to try your hand at cardigan-knitting or, if you feel like you're a master already, give it to a friend who's just starting out, leave a comment here telling me a) how many cardigans you've made (an estimate is ok :) ) and b) the best way to contact you. You have until 11:59pm Pacific time next Friday, April 5th, and I'll draw a winner on Saturday afternoon. I've made 3 cardigans for adults (the one for my mom turned out great, the other two less so), and about 7 for babies (there are two more due by August, so I've cast on for one and picked out yarn and a pattern for the second). This book sounds like it would be so helpful! I have not finished any cardigans - I have a February Lady on the needles but sweaters just seem like so much work and I am not sure that when I finish a sweater that it will fit. I'll knit complicated shawls, hats and mittens but a sweater is daunting. The book sounds terrific. My rav name is janineny2001. I have made a few. I guess about 4 or 5. I just finished one for my father who made a comment about how I do not do the edging properly. I need the constructive criticism. What a great sounding book to give advise on all sorts of designs and sizes of cardigans. I've made 0 cardigans and 0 sweaters. I'm afraid I'd get done with all that work and then find it didn't fit. I think this book would help me get over my fear! Rav id is dogsavvyknitter. 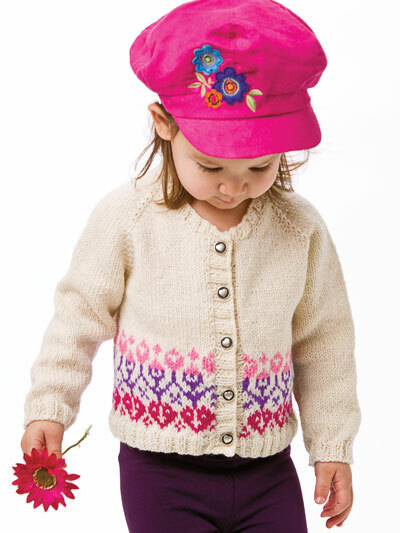 I have knitted 2 toddlers cardigans and 1 baby cardigan. As it will be getting cooler here in the Southern Hemisphere, it's almost time to pick up the needles again. 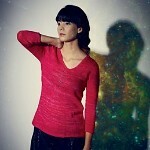 I have made 26 sweaters, of with 22 are cardigans. 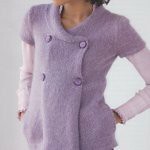 Cardigans are my favorite to knit, I love the construction and to make beautiful details. 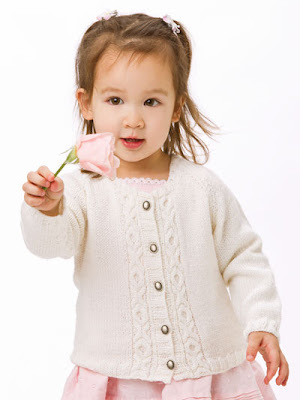 I love to two children cardigans, there wary beautiful. I have several friends that are a bit intimidated by cardigans. I've made one baby cardi and it turned out fairly well! Would love to try to make one for myself. I've been sticking to socks, lately. I haven't made any yet. This book would be perfect! I've made 2 so far, with more in my queue. I've started significantly more cardies than I've finished (1). This book would be a useful tool for me. 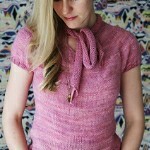 I haven't completed a cardigan yet, but I have several in my queue that I look forward to. I never turn down an opportunity to learn a new crafting skill, so thank you for a chance to win this book. I've made 3 baby cardigans (for 2 nephews and my little baby daughter) and 1 cardigan for me. You're so right, those baby/toddler sweaters are darling! I want to make that hugs and kisses one for my girl now! What a great book! I've made one cardigan - it's my one and only sweater thus far. I actually still have to block it and sew the buttons on... Thanks! Not a one...but want to!!! - and think this book would help. I have made several baby cardigans. The adult one is still on the needles. I just need to do the lining and seam it together. It is a jean Frost pattern. Zero cardis for me. However, I want to change that! Ha! Thanks for a chance. I have made zero cardigans! 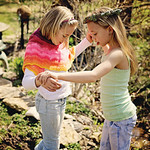 But I recently made my first two top-down sweaters - in baby size. Would love to win this book! Love your patterns, too! I have made one cardigan! I'd love to win this book so I can make more! Thanks for the chance to win!